The 485 Serie is an electric multiple unit designed by the Japanese National Railways (JNR) to be able to run anywhere from the northern tip of Aomori to the southern island of Kyushu. 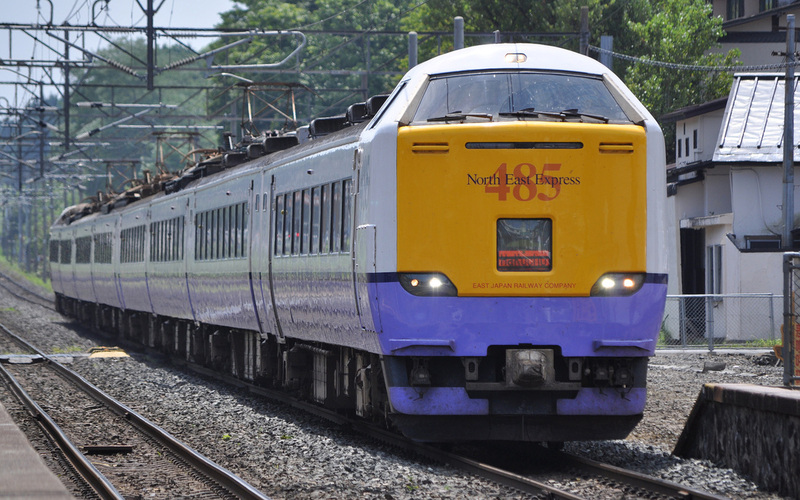 To achieve this, the JNR modified its 481 Series train which was a 1500V DC/20000V 60Hz AC designed for the Kansai region by adding compatability with the 50Hz 20000V AC current that is used in eastern Japan. The 485 Series kept the same long hood adopted by the 481 Series and many of the limited express trains before it. 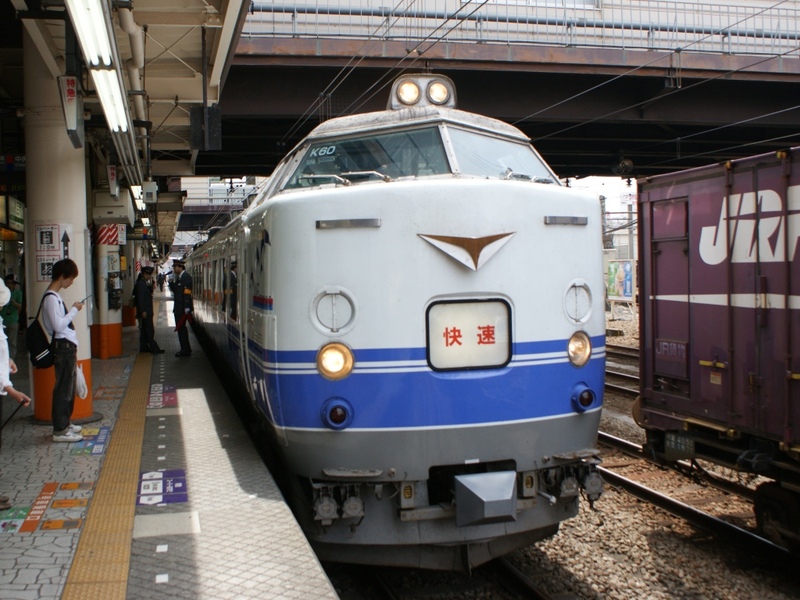 The JNR also introduced the 489 Series which was generally similar to the 485 Series but was equipped to co-operate with electric locomotives to climb up and over the Usui Pass in Nagano. In 1972, the 200 numbers were put into production. These got rid of the long hood and replaced it with a rounded face and elevated cab. This style was nearly identical to the 183 Series which was produced around the same time. 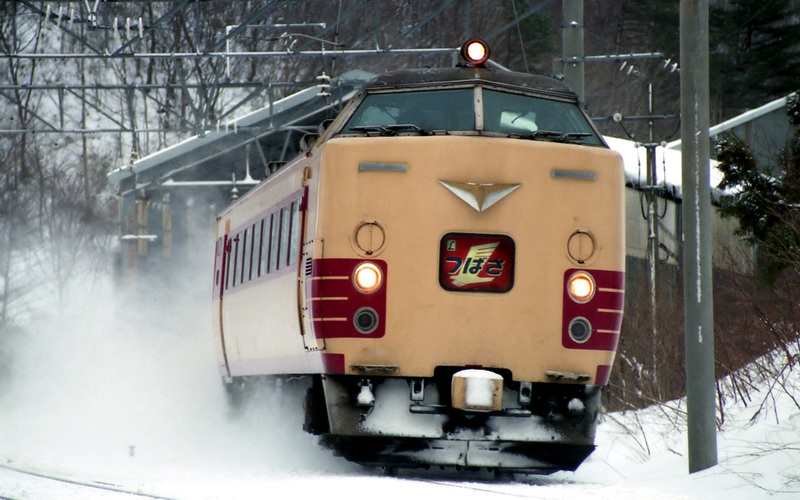 In 1974, the JNR decided to create the 1500 numbers which were designed to be operated during the harsh winters of Hokkaido. They can be distinguished by the two headlights instead of a single on top of the roof of the front car. These trains turned out to be a disaster and were plauged with malfunctions caused by the powdered snow of Hokkaido getting inside the equipment. 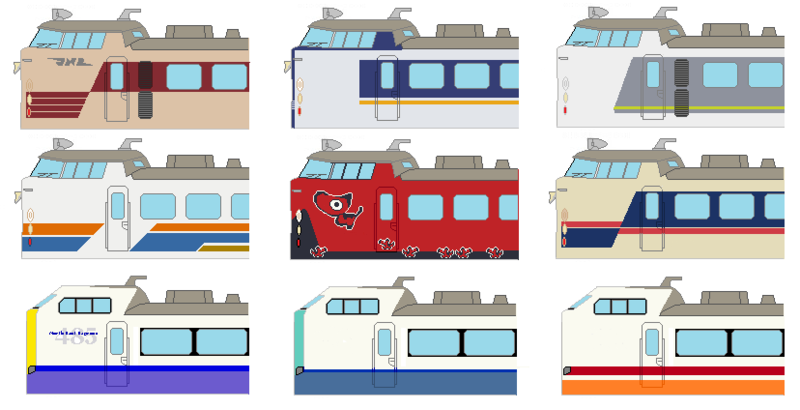 These trains were replaced in 1978 by the 781 Series, a train that was properly designed for Hokkaido. The last of the 485 Series group to be produced were the 1000 numbers. These are generally similar to the 183 Series 1000 numbers and are equipped for cold climates. 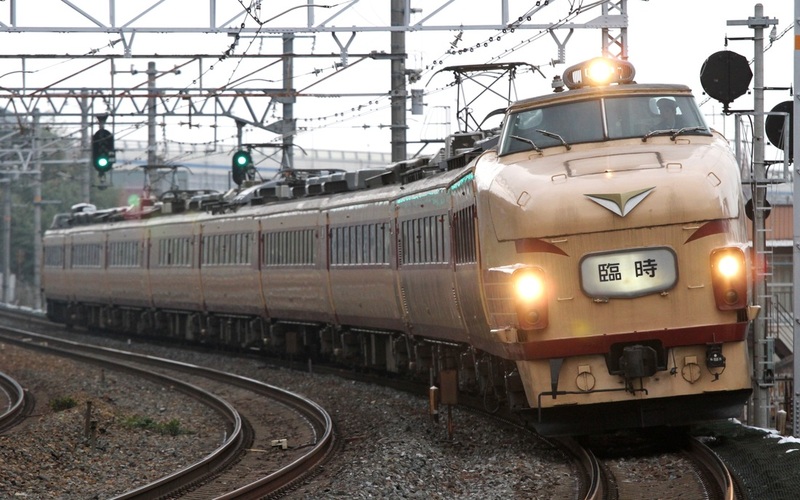 After the formation of JR, JR East updated some of its fleet to more modern standards. Though they keep the same general shape, they've been given an entirely new cab design. These are known as the 3000 numbers.